With three wins from ten Tests, two wins from 13 ODIs and ten wins from 19 T20s – a grand total of 15 wins from 42 games – the Australian cricket team returned a winning percentage of 35 per cent for 2018 in a year that can only be described as sub-par. Through triumphs and scandals, 2018 was a rollercoaster of a year, to say the least. However, the tail end of the year, beginning with the tour against Pakistan in the UAE, was a rapid decline. The main questions asked were why certain players were in the squad, but that then evolved into why some of them were in the team at all. 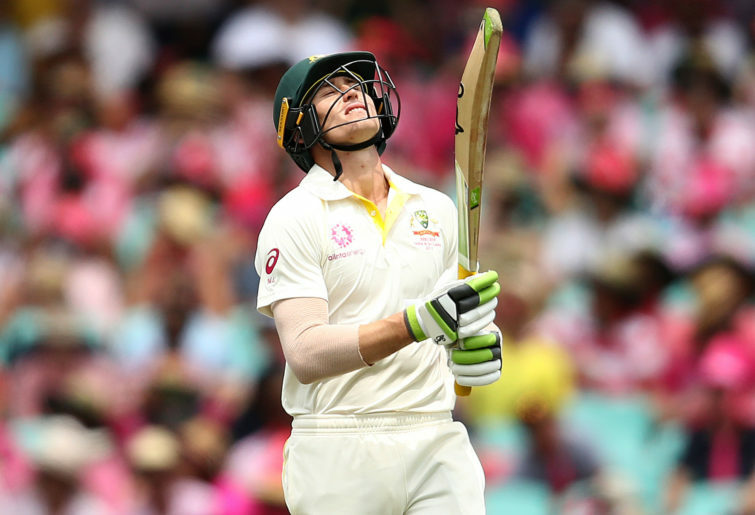 Those questions have trended right through the Australian summer and reached a peak with the selection of Marnus Labuschagne in the fourth and series-defining Test at the SCG. While the 24-year-old Queenslander has shown signs of being a potential Test player, the fact is that he hasn’t shown enough in either first-class or Test cricket. This is fine, though – he’s a 24-year-old evolving No.3 batsman who is developing his wrist spin. His 33 average with the bat and 48 with the ball are decent returns for where he is in his career development. That doesn’t, however, warrant Test selection. So why is his name in the mix? Because of his below-par Test-level leg spinners? Because of his potential to bat in the top six for Australia in the future? Because he’s taken a few nice catches at short leg? Who knows, because the selectors never explain why. Captain Tim Paine and coach Justin Langer are the ones set with the task of explaining the process and reasoning behind each player’s selection. Both have had a hard time doing so, and I put this down to them not fully understanding the process and reasoning behind some selections – particularly bad given Langer is a selector. Langer’s statement about not wanting to reward poor performance and that there aren’t any players knocking down the selection door blew up in his face with the Labuschagne selection. This was exactly the opposite of his statement. Picking a player with an average of 28 across nine innings this Shield season is rewarding poor efforts while the likes of Nick Larkin, Kurtis Patterson and Joe Burns all average 45 and Mathew Wade averages above 60 in over ten innings. They seem to be knocking on the door for a Test opportunity. The problem is that there is no transparency exercised or responsibility taken by the selectors. It’s lumped back on the player for not performing and left to the captain to front the media and defend someone else’s decision. But what happens if the player isn’t ready for Test cricket or just isn’t good enough? Stats and averages don’t tell the complete story in picking a team, but the public would be more at ease with the selection process if the selectors can turn around say, “We’ve selected Player A to bat at No.3 because he’s been averaging 50 in Shield cricket with a century and four half-centuries this Shield season so far. This bloke’s in good form”. Or, if they were looking to build for the future, they could say, “We’ve picked Player B because we believe he can be a quality Test player for the next decade. We are going to play him at every possible chance as we think this will fast-track his development, and he can be a key player in the near future”. That would allow us to see how said player goes against the world’s best, and hopefully he would show a bit. But we get none of that, because hiding behind the curtain and playing the Wizard of Oz can absolve you from all responsibilities and, in this case, keep you in your job. The Boxing Day Test was a horrible follow-up to a good win in Perth and the New Year’s Test has been a complete disaster. While Australia have been completely outplayed in the last two Tests by a class Indian outfit, the question nearly all summer has been the selection and non-selection of certain individuals. These questions have never been answered. This constant avoidance of responsibility for decisions made and actions taken is unbecoming of a panel calling themselves Australian selectors. Until this changes, the same baffling decisions will be made for Australian cricket. The Australian cricketing community deserves better. It’s time for some fresh faces at the top who understand the state of modern cricket and who aren’t afraid to explain their decisions and decision-making process. We need people who can clearly communicate both internally and externally so that everyone has a clear picture of the direction in which Australian cricket is heading. Australia needs someone who at the very least can announce a squad at a media conference and field questions instead of firing off a press release with no right of reply, because the lack of transparency and responsibility held by the Wizards of Aus is as stale as their long-ended playing careers.